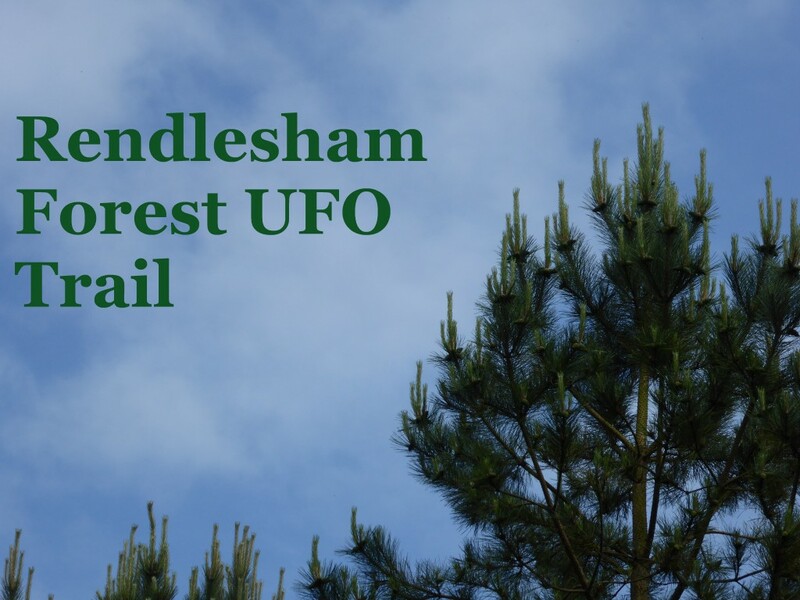 ….UFO trail in Rendlesham Forest? …..Really?! As someone who has absolutely no sense of direction, I have avoided forests for many years. When you get lost in them as I have done in the past, what starts out as a fun day out turns into something rather more stressful! 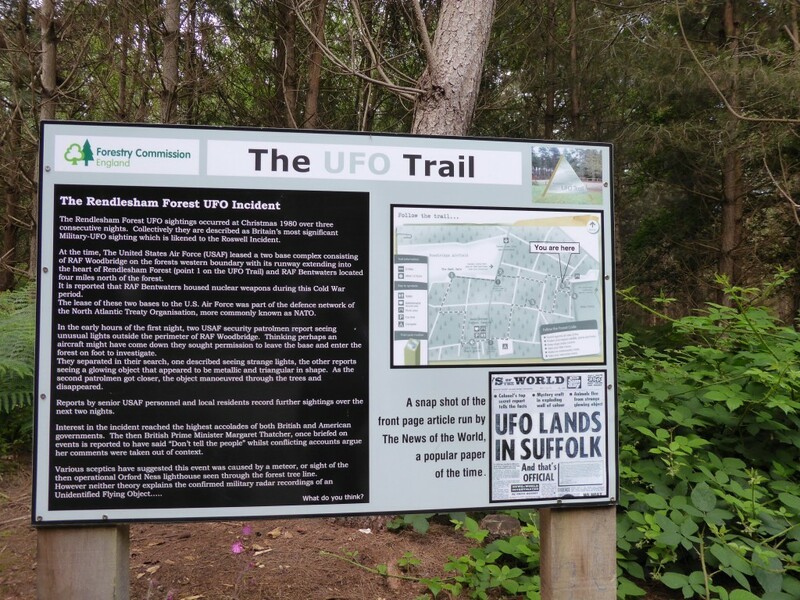 So you can imagine the thought of walking the UFO trail at Rendlesham Forest as part of my Suffolk Top 50 challenge was one that I was not looking forward to…. the potential of getting lost in an area where a UFO was apparently spotted is not my idea of fun! 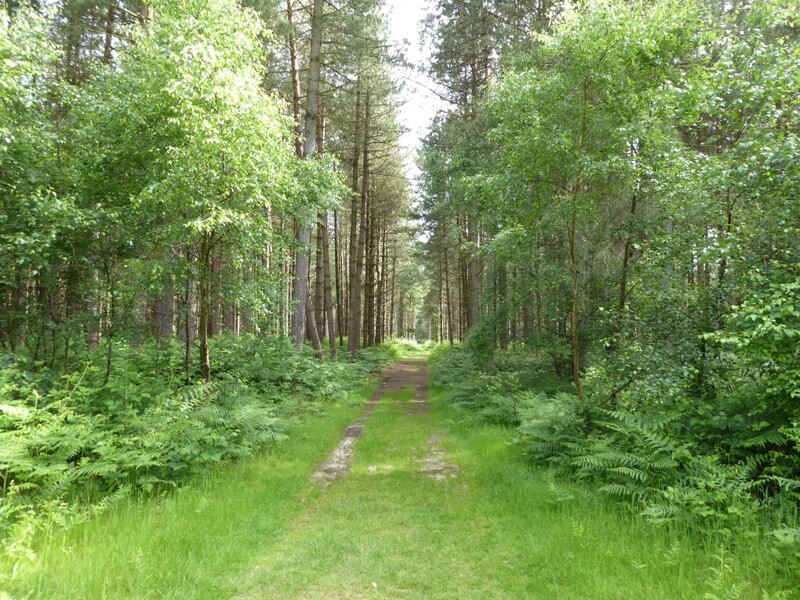 When we arrived at Rendlesham Forest, I was pleased to see that there was a map with the route clearly marked that we could take with us as we walked around the forest. It also looked like the trail was going to be signposted along the way – fantastic! 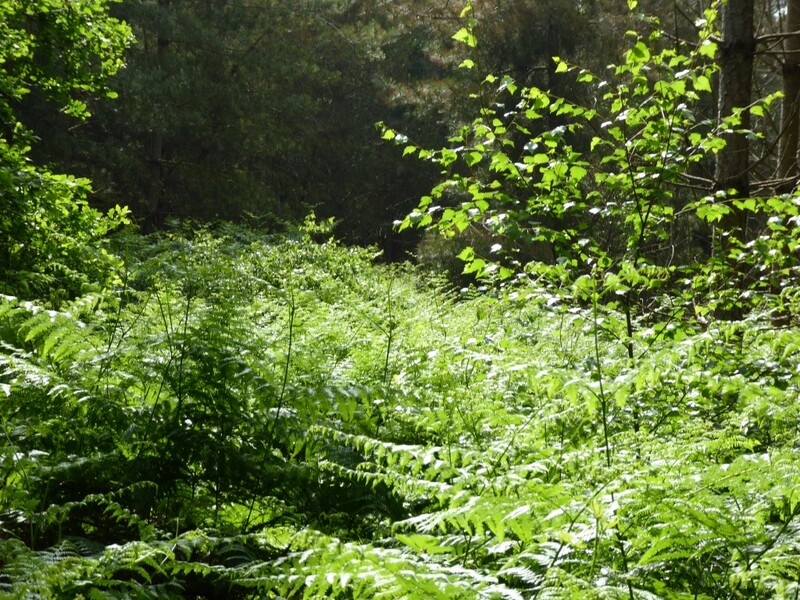 As we started the 3 mile circular walk it was lovely to see the contrast of the trees with the lush green ferns underneath. 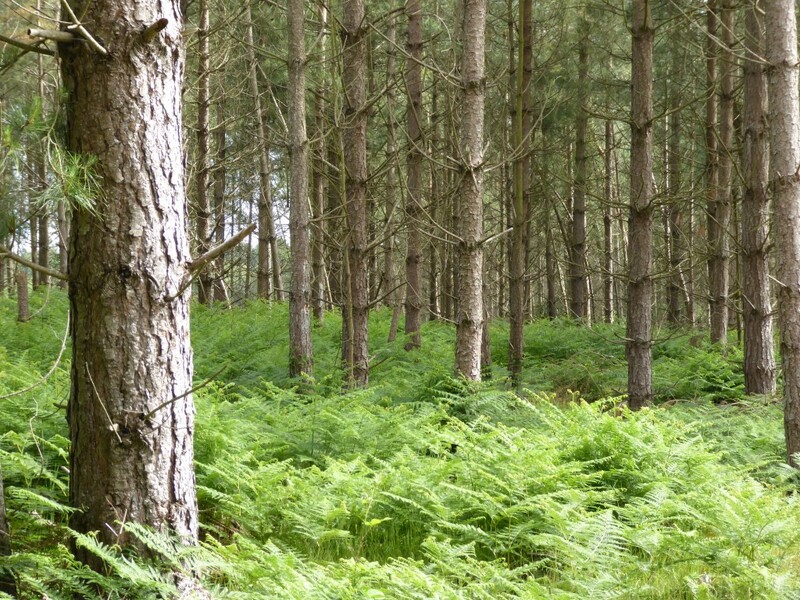 Rendlesham Forest, situated in an Area of Outstanding Natural Beauty has lots going for it. 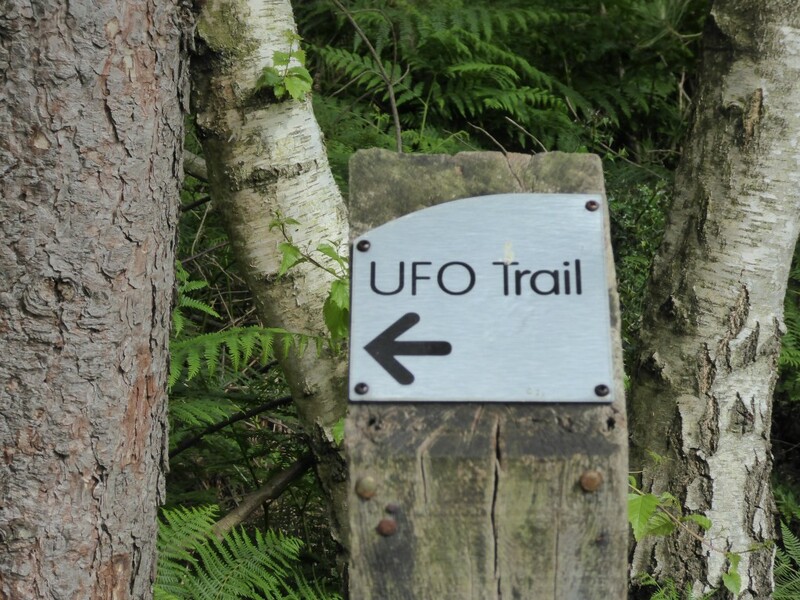 As well as the UFO Trail it has other walking and cycle trails to explore and much to discover; different types of trees, open spaces and heathland. What is the Rendlesham Forest UFO Trail? 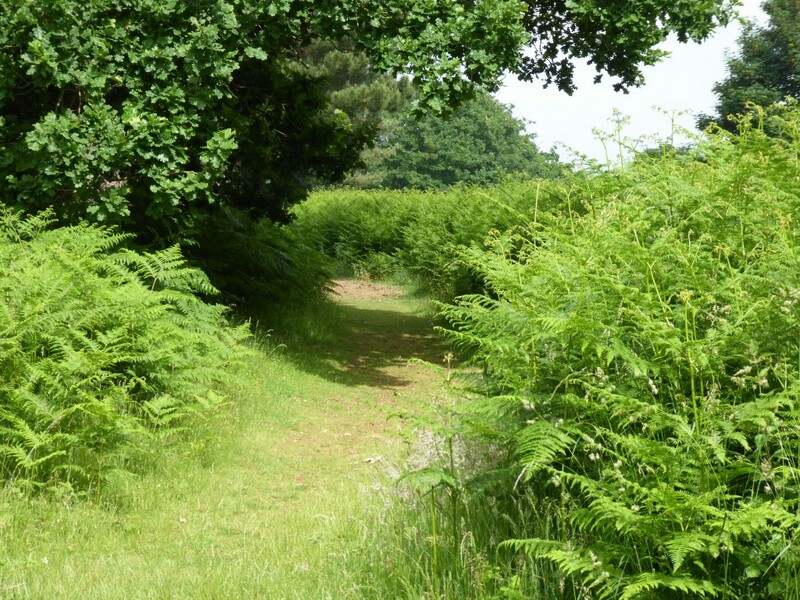 So as not to spoil it for you, the map of the trail has information that you can read as you navigate the circular walk but to give you an idea of why there is a UFO Trail – several sightings of a UFO were reported as being seen in Rendlesham Forest in 1980. 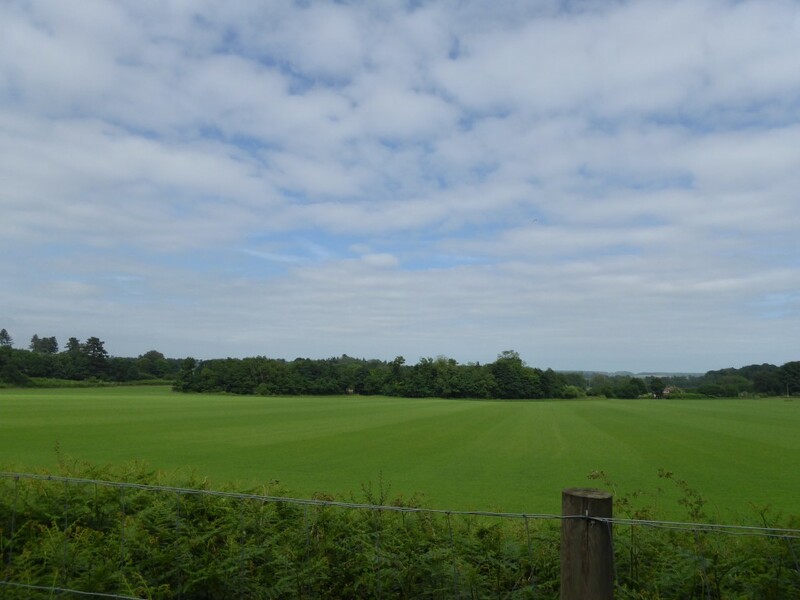 The walk took us through different parts of the forest, past Woodbridge Airfield and to a viewpoint where you could see open fields. The walk took us about an hour and a half and we enjoyed reading the details on the map which we found quite entertaining and a great way to encourage a discussion about what could have happened…were they ‘real’ sightings? What would you do if one landed right now?! More importantly, I was delighted that we completed the trail without getting lost! The clear signposting along the route was great and really helped me to enjoy the experience without worrying about how I was going to find my way back to the car! I would definitely recommend a visit to Rendlesham Forest to investigate the UFO Trail. Exploring the forest was great and the trail is ideal if you are looking for something a little bit quirky for all the family to enjoy! Never thought I would say it but I am already looking forward to my next visit!